CONGRATULATIONS TO SUZIE!!! You are the winner of our first giveaway!! Suzie, please email me and I'll give you Michele's email address...unless you have it. We're so excited for you!!! Wow, you other ladies were this( ) close!! We thank all of you who participated and hope we have you all join us again for the May drawing. We will post 2-3 weeks before drawing date. Who knows what we're giving away this time!! Have a wonderful week! and keep stitching cause your progress pics make our hearts smile!! 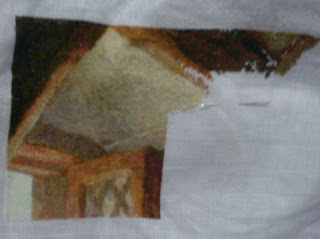 Here's a pic of what it was like... My daughter Jennifer has been stitching away like crazy on her HAED and was really chuffed with the lovely comments you all left on her last progress pic :) This afternoon she finished page 2 of her QS and only has 2 short pages left till it is finished so here's her progress pic... This will be her first HAED finish and she can't wait lol. Thank you all for looking and leaving comments :) Happy stitching and may the frogs stay away! Sorry I've not posted any pics since my intro a while back, luckily I am better at stitching than blog posting lol. I have been reading everyone's posts and looking at all the gorgeous wips though and they are stunning. I don't have enough hours in the day to comment on everyone's posts I''m afraid but I just wanted to say you all do such wonderful stitching. I've been working on Cabin on a Wed and Thur evening for the last few weeks and although the progress is slow I'm enjoying it. The first pic is it as a whole before I started the current page, and the close up is the next page along the top row after last week's stitching. I've been trying to finish up a non-HAED wip for a while, which thankfully I managed last night, so I'm hoping to be able to spend more time on Cabin now for a while at least and see how I get on. Til next time! And here is the back side of my Rainbow Mermaid. I don't understand how you guys get them so neat! And here's another WIP, Dark Cherry SAL in Mar. If I were to win the chart I would choose???? and I do not have a chart yet because it is so hard to pick one! I finished the first page to Lavender Moon! You can see even see a little of the moon. I am going to be starting my first TT tonight. I want to rotate this and LM each month. 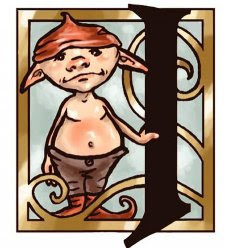 The 'I' is going to be for my son. I also have 'E' for my DD. I am hoping to have them both done by Christmas. 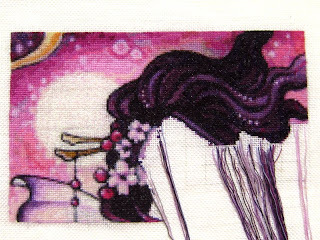 I've been stitching on Sunset all weekend (thought I would take a break from my Queen of Hearts for a while). I started stitching Sunset's background a while ago and it was getting so boring so thought I would travel to her face. Special for this blog I start with a new HEAD project! It's a QS snow bunny. I really felt in love with this pattern! because I'm very kind of animals. Wendy and I Have A Surprise! Please Read!!! Beginning April 1st, Wendy and I will have monthly drawings for giveaways! ONLY MEMBERS WILL BE ELIGIBLE!!! We will post each month showing (or telling) what the giveaway for that month will be 2 weeks before each drawing, so members will have time to enter their name for the items being given. Since our 1st drawing is so special, I'm going ahead and posting it now! Michele, the CEO of Heaven and Earth Designs is so generously donating A CHART OF THE WINNER'S CHOICE ...AND.... a NEEDLE THREADER with the glass beads she is making herself!! How incredible is that?? Wendy and I are so excited and appreciative of Michele's generosity. "I am a Jill of all trades and a Master of none! I have dabbled in jewelry for years and have actually learned a lot of my craft from Bob who used to own a jewelry store in St. Thomas Virgin Islands. 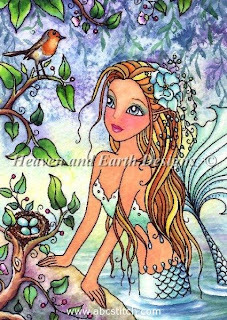 HAED started in 2001 and our first artist was Sheila Wolk and then it was Jessica Galbreth (whom is now a very dear friend) and then so on. I have 26 years experience in Information Technology and have always worked a day job until 2 weeks ago when I was laid off (I was an Executive Manager for Hormel Foods). My goal is to now run HAED full time with Bob by my side and to also grow the jewelry side of things to keep the mix interesting. I am a Mom to 3 and a Grandmother to 2 and soon to be 3 and my Grandchildren are the loves of my life. 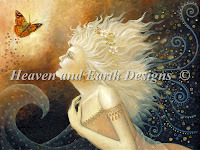 Heaven and Earth is named after Bob and I and his zodiac is Earth and mine is Heaven (Air). We are soulmates and about as close as two can possibly get. He is my love, my life, my dreams and my wants but most of all he is my friend…..
CEO, Heaven and Earth Designs "
And many of you know she does all that charting!! WOW! I can't even imagine! All you members have to do to be eligible, is to leave a comment on this post. On April 1st, Wendy and I will have the drawing and post it as quickly as possible. We will get your chart choice from you and send your info to Michele:) We wish you best of luck to you all! Our first monthly giveaway is approaching! I've been told that if it weren't for bad luck, I'd have no luck at all! 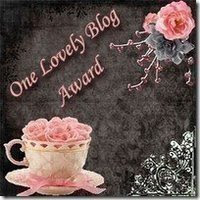 Thus, I am not holding my breath in hopes of winning our blog's first monthly giveaway. Nonetheless, it's fun to play "what if" and I'd love to win! Which chart would you choose to receive? For a QS, Fireflies on Parade is on top of my wishlist. Oh which to choose if I won?! 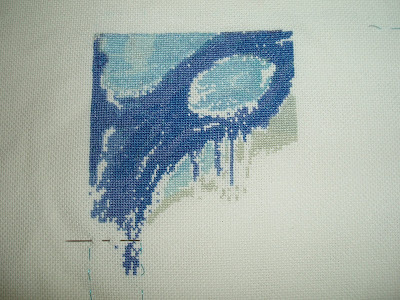 Well here's Sunken Treasure after another week of stitching. I only have the one color left to fill in on Page 2. Wow, showing you the back of this makes me feel rather uneasy, lol. Sorta like exposing all your faults to the world. However, I'm coming to realize with this project that the back doesn't count. I will not be participating in this week's SAL. I'm still VERY much pregnant and as long as no other unexpected surprises happen, will be in the hospital from Wednesday until Saturday welcoming my little guy into the world. I'm scheduled for a c-section on April 1st. I will be back the following week though! 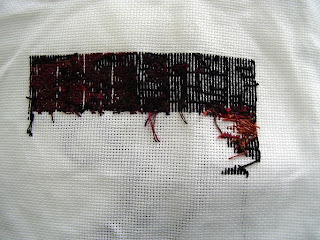 I have to say I've seen some of the most wonderful stitching on this blog. These projects take forever but the colors are amazing and the designs are beautiful. Whew, I barely made joining this blog! I am so glad I did. My name is Marjean and I am from Baton Rouge, Louisiana. I don't get much stitching time but I am trying to dicipline myself to get more. I have really enjoyed reading about and looking at everyone's progress on their HAEDesigns. Meet Aurora of Aurora's Garden. I started her yesterday and managed to put in about 600 stitches. Hopefully this will jumpstart me to begin stitching again. 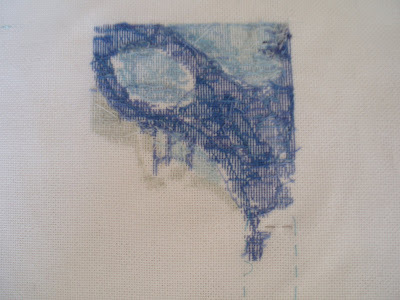 I have been in a nonstitching rut for a while. My name is Liesbeth 22 and from the Netherlands. I'm working on more projects but I've also 2 HEADS. 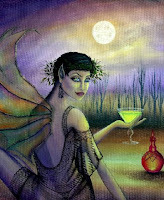 Fairy tale fenech from Selina Fenech and oriental tiger. Oriental tiger is just started!! 1 invitation for membership left!!! We currently have 98 members, 1 pending invitation to be accepted and 1 invitation open for a last member!! Wendy and I so appreciate all of you joining us....teaching us, sharing your beautiful work with us and especially enabling us;) You guys ROCK!!! I finished page two. I have 15,386 stitches in now. 32,529 left to do. Page 3 is a small page and then I get to start on the next row of pages. I'm just loving this piece. Have another update on Monday probably I'm going to a stitching retreat Thursday through Sunday so hope to make a lot of progress on this one. Yes, this is a window! Tadaaaaaaa! Next week I'll show you... Or will I? I'm kinding... I'm one of those who think that the back will be hidden by the frame so it doesn't matter (too much ;)) how it looks. Enjoy your stitching and welcome to all new people! Hi everyone! This is my first post here and I am so blown away by all of your work! I love the front/back challenge pics and wanted to add mine. but I could barely get a shot of the front that showed off the details and was true to color - I could not get a good shot of the back to save my life. 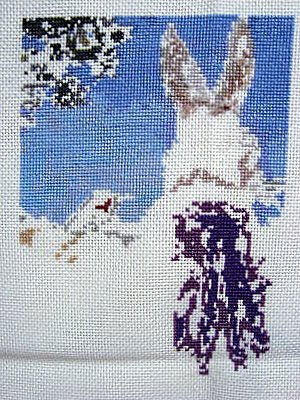 This is the progress I made this week for "Bunny On Path" Freebie. 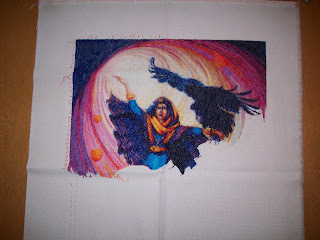 I began stitching his beautiful purple coat - there are two shades in there so far . . . I also did a few stitches of the little red and brown birdie that sits on his basket (left). 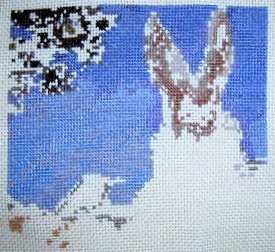 Bun-bun's ears still need to be frogged out - I only got so far on that. Don't you find that every week your project gets more 'egg'-citing (excuse the pun) the further you get? I know I'm going to go totally mental doing his egg basket with all the color changes, but I can't wait to see it come to life! 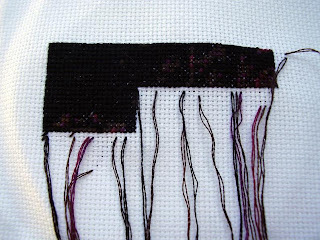 I had a new start this week- Here is the first WIP- I stitched her thursday and Friday as well. I will go back to mistress this week. I am really enjoying this blog, and watching everyone's progress. Not very much progress this week, but i did stitch a bit on her friday. Thanks for your kind comments & encouragement! Everyone's WIPs look amazing! Thank you, Cindy for allowing me to join you all. 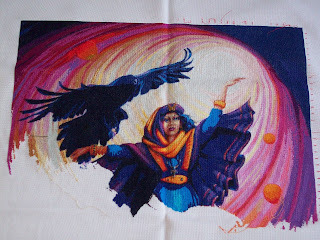 I will get a pic taken tomorrow of the storykeep I'm stitching. I may also start the QS Iris as well. Looking forward to getting to know everyone. I didn't get a whole lot of stitching time on Thurs. like I had thought I would, but I did make some progress on my Drummer Boy. I am enjoying this so much. I know it is going to take forever, but hey, I have a lot of life left!!!! 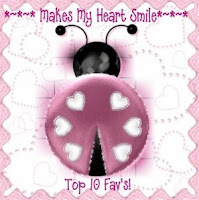 I am loving watching everyone else progress on their projects as well!!! Keep up the great work everyone!!! Here is my progress this past week on Peacock Lagoon. I have really enjoyed this stitch. Although, you cannot see it, I got to change colors this week!! Someday soon I hope to change colors again. 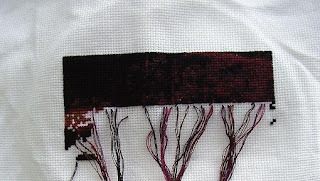 I check the blog every day and look at all the amazing pieces that are being stitched. Each and every one is beautiful and you keep me inspired. Thank you one and all. Hi everyone...This week was a busy HAED week. On Thursday I participated in the SAL. 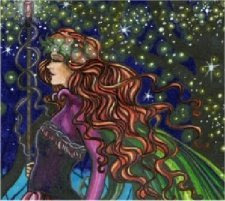 I finished page 1 of 40 for Faery Tales. On Friday, I worked on my Wintery Heirloom design. This week is going to be a crazy week at school so I decided to work on A Wintery Heirloom. We have parent-teacher conferences. Wednesday night my friend and I are to see the movie A Haunting in CT. I watched a documentary on it the other day and it scared me to death. I have NO Idea what the movie wil be like...I am sure it will scare me to death too!!! I Promised I would take up the challenge to show the reverse side here it is! Not hard to tell the difference. It's rather hard when there are so many colour changes.....even if they are all blue! I have to say all of the HAED pieces are just lovely. Hard to believe but I don't think there are any duplicates! Hello everyone. I just joined and finally got time to say Hello. I'm Katie. I live in Fort Wayne, Indiana. I'm 29 year old stay at home mother. I have a soon to be 11 year old son named Jeremiah. He is my life. I started homeschooling him in 2006. I'm also lucky enough to be happily married to my soul mate Fred. I of course love stitching. I LOVE stitching HAED. Of course LOL That's why I'm here. 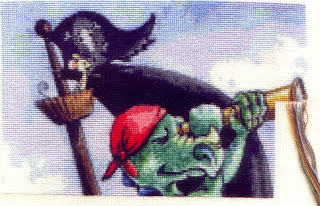 I'm currently focusing on Lisa Victoria's Pirate Dragon. I will only work on that HAED until it's finished. I really really want to finish one in my lifetime haha. I have some other HAEDs started but this is my focus piece for now. I look forward to watching all the progress. I just love watching these grow. 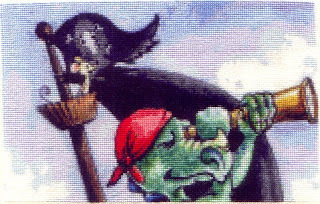 Here is my current picture of Pirate Dragon. I'm doing it on 28ct evenweave. 1 thread over 1 thread. I have page one complete and page two is getting close. There are 9 pages but a few are very small. Page 3 is one that is very small. I'm working on QS Storykeeper. For one symbol, I need a Kreinik thread. The chart lists it as DMC 032 Kreinik #4. So I just ordered a skein of Kreinik #4 in 032 pearl. Now, isn't this a "blending filament"? Don't I use a DMC color with it, but which one as there is no DMC 032? Or do I use it alone since it's 1 over 1 on 25 ct Lugana? 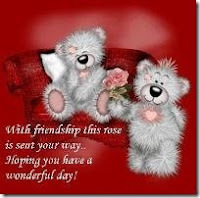 I hope that everyone is having a wonderful weekend! Oh my, I made a very drastic decission this nigth. I laid awake thinking about my Wizard of Oz and if I really liked it this way. My conclusion was that I didn't. I don't like the fact that the fabric is shimmering through the stitches... I like for instance 'Land of Enchantment' of Wendy, which is by Gustafson as well, far better, so I think I'd better start all over. I tried frogging my stitching, but it's too much. 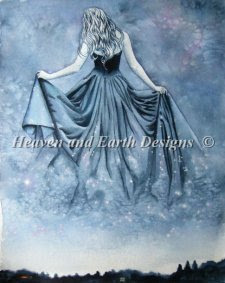 So I will just cut of the piece and use the rest of the fabric for another project. 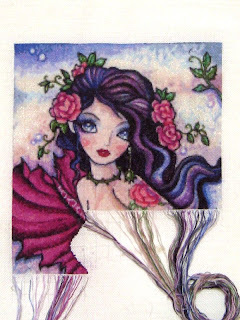 And I went to the store and bought a new piece of 18 count aida and this time I will stitch it with two threads. Of course it's a shame, but I had only done one page and there were 20 more to come. Better do them while I'm satisfield with the whole project, don't you agree? I start in the opposite corner right now, working from page 1 and then down to page 8. Different colours and it won't feel that much like doing it all over again. Come & See My Backside!! Goldilocks, page 1 almost done! Mich - So great to have a new stitching frame ! !